Many of you would agree that cycling has many benefits, and that it brings together fitness, travel and recreation. It is essentially because of these benefits that I absolutely love cycling. However, I have heard on more than one occasion that cyclists find it difficult to convince their partners to take up this sport. So let’s hope that this blog post helps some of you to convince your partners. Share it with your partner, and see what they think. Who knows, it just might change their mind about cycling. The US trip is expected to cost a lot more than our allocated budget. The question was - how do we, then, end the year in a special way? And more importantly, without spending a lot(read that as ‘by spending almost next to nothing’). So between the both of us, we decided to allocate 25,000INR for the year-end trip. 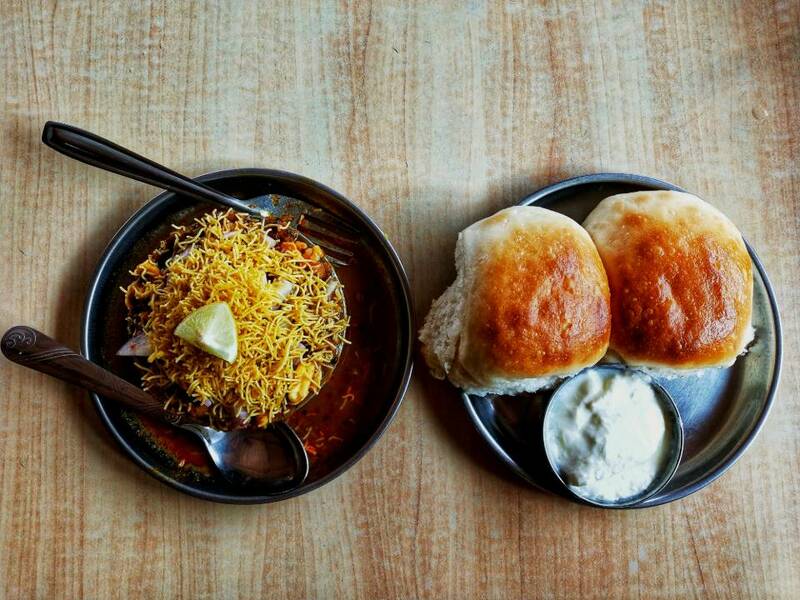 Some of you may wonder, is it possible to travel on less than 2000INR per day including cost of transport and stay? So there you go, the first benefit of cycling. It costs a lot less than conventional forms of vacationing or travel. Our bikes on the ferry from Rewas(close to Alibag) back to Mumbai. Cycling costs a lot less than other vacations. Eventually, we ended up spending less than 25,000INR for our week long journey. We did not cut any corners. We stayed at comfortable homestays, ate to our heart’s fill and even stayed in a really nice property on the last night of the trip. Had we decided to even take a week long trip within India without the cycle it would have cost us at least twice as much. 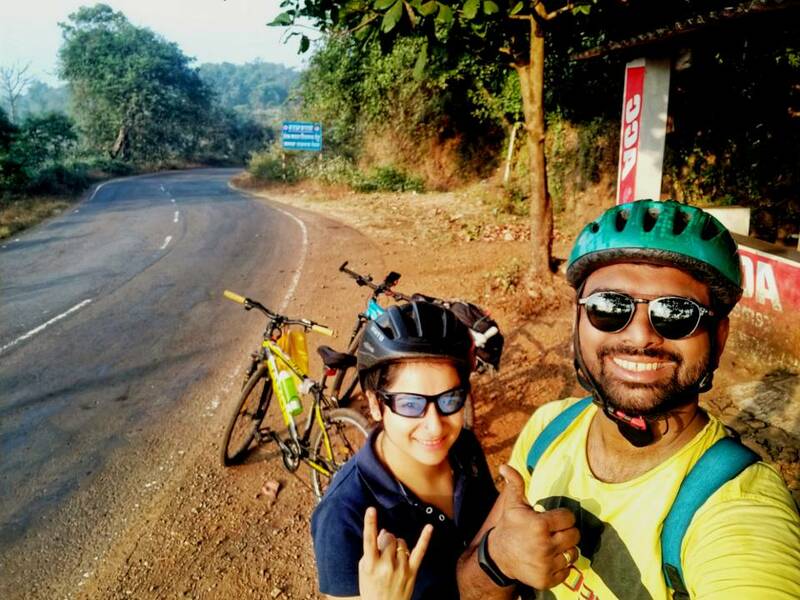 Our trip started from Chiplun in Ratnagiri district and we took the coastal highway to ride back to Mumbai. We were together, and had no one else for company. Since I had done the route before this, I was confident of being able to manage the journey. In those 7 days we cycled through some of the most scenic views, encountering unventured beaches and spotting beautiful birds. For most part of the journey, we were the only ones on the road, with an odd motorbike passing by every now and then. The trip, the silence and the nature surrounding us, helped us connect deeply. There is something about city life that kills deep connections. Maybe that has to do with distractions, the noise or the killjoy everyday routine. I do not know. But on this trip, we laughed more, cared more and exchanged more. We stopped just talking and started connecting. That’s another major benefit of cycling together. 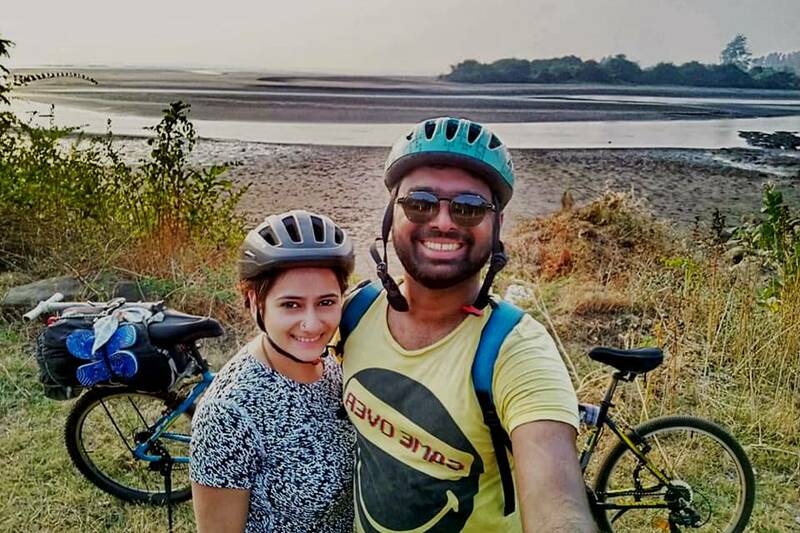 You connect better with your partner on a cycling trip. On the first day of the trip, on the Chiplun-Guhagar road. So much so, that we have now decided to at least take two such cycling trips every year. Next point takes me to financial abundance, it may seem that it has great many upsides. But there is one BIG downside in my opinion. Let’s admit it, most of us make decent money and are spending it in the quest for happiness. But the more we spend and consume, the less those things make us happy. Remember the first time you ate pizza as a kid and loved it? I am sure many of us would not even want to touch that same brand of Pizza that we loved so much back then. Over time, we become numb. Maybe that’s why we crave what seems bigger and better things(which almost every time means ‘more expensive’). And in many ways our cycling trip reminded us of the joy in small things. 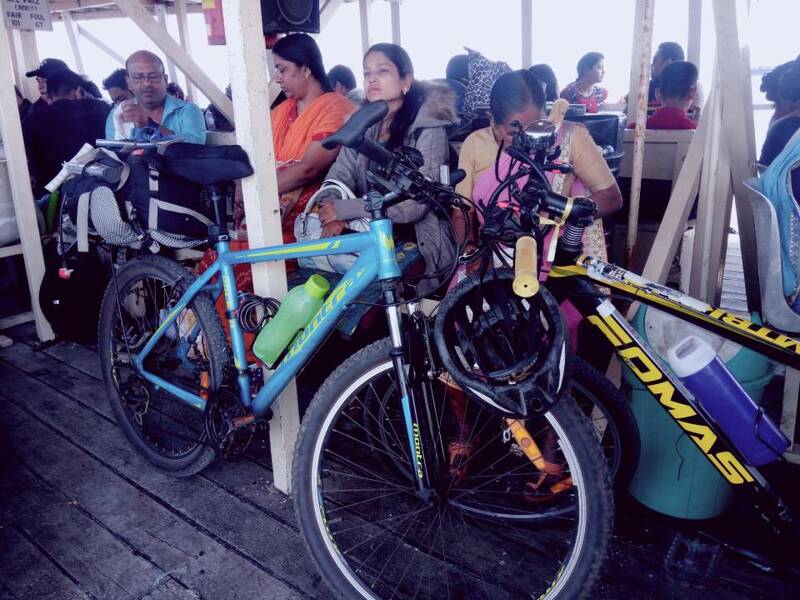 After cycling for 5-6 hours everyday, even a cup of tea felt like bliss. So did a simple vegetarian meal, and a nice comfortable bed. I remember our evening at the beach in Diveagar. The shallow and cool water was so refreshing that it felt like an out of world experience. Was it the best beach in the world? Maybe not. But I guess, the cycling work-out enhanced this experience many times over. While this is true for all cyclists, experiencing the joy of simplicity with your spouse has an important benefit. It reminds you as a family that you don’t need so much to be happy and helps you focus on the right things. Cycling reintroduced us to the joy of small things. The most obvious benefit is fitness. Most vacations send you back with the guilt of over indulgence and bulging waistlines. A cycling trip is completely opposite, we came back feeling better, fitter and ready to take on the new year with renewed vigour. A fit couple is a happy couple, and cycling together helps you achieve that. However, a note of caution that once you are back from your cycling vacation you need to adjust/reduce your food intake. Not just that, also continue to cycle/exercise everyday to maintain your fitness. These are some of the many benefits of cycling with your spouse. Hope you agree with me. Maybe you want to share your experience of cycling with your spouse or partner. Feel free to share them in comments, and also let us all know what are the other benefits of cycling together. 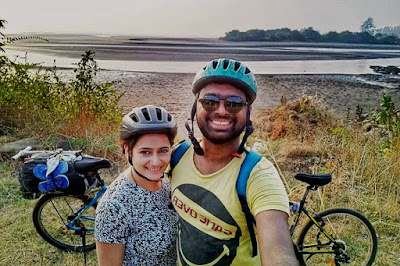 In the next post, I will share details about the coastal highway from Chiplun to Mumbai, for those interested in cycling in Maharashtra. Cheers! Thanks so much. Your words are like the fuel we need on this journey. All the points you mentioned about motivating, embracing weaknesses and holding each other are so true! Wish you well, Parvez. Hope to ride with you some day soon!